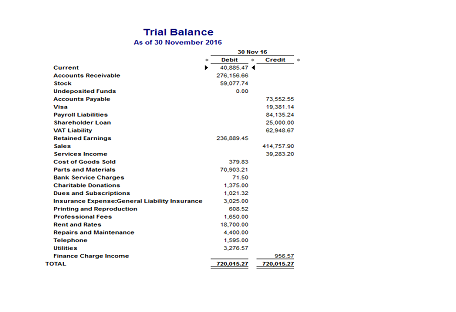 The trial balance is a list of your account balances extracted from the legder. To view your business trial balance: From the home page menu-Click Report, Select Accountant & Taxes and Click Trial balance. 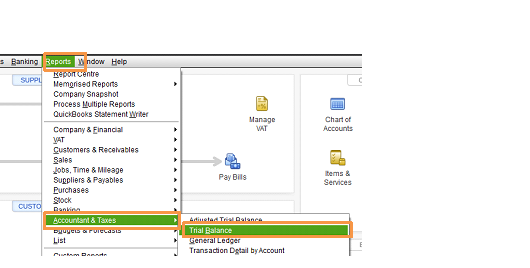 Your Trial Balance pops up immediately-which you use to see the current balances of your all your ledger.